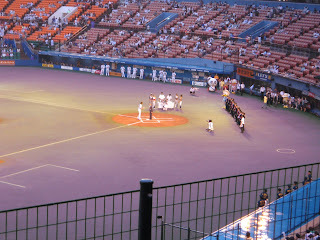 Yesterday, went to see the baseball game near Tokyo. Japanese stadium is not as large as Amerian stadium, though i realy like its atomosohere. People cheer up their favorite team with bell, drums which is really fun. 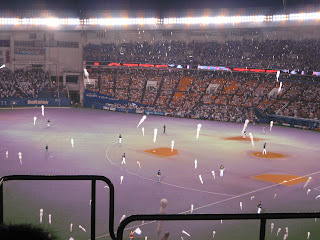 In the last picture, people make baloon at lucky 7 inning. you must see this when you come to japan!